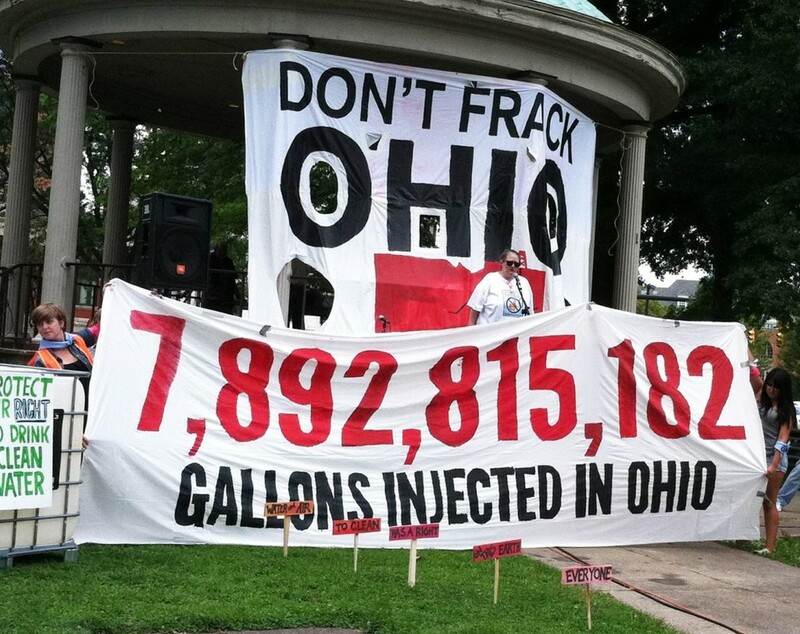 The people in Ohio are sick and tired of dealing with the negative effects of fracking but are powerless to stop it. It appears they're fighting a losing battle and democracy has been subverted by state politicians with Big Oil connections again. Citizens gathered the required number of signatures for ballot measures against fracking in September, but were blindsided by greedy politicians on boards of elections backed by the Secretary of State applying even more stringent pre-election requirements. They threw out the ballots and people never got a chance to vote on them. Jon Husted, Secretary of State, managed to get ballot measures against fracking dropped last year too. He's claimed "Unfettered authority" to determine the legality of local initiatives before they go to vote. And the courts are backing him up. Never mind that the people who met the legal requirements for ballots are being stiffed again. It's obvious that the people's will in Ohio has been crushed by Big Oil interests and corrupt politicians. "Decisions, such as this, which sidestep the democratic process, maintain predictable "investment climates" for the oil and gas industry, and perpetuate the illusion of consensus and the notion that somehow issues regarding the oil and gas industry are democracy-immune. The industry - wary of a domino effect - does not want the thought that oil and gas extraction can be governed by citizen-crafted law to spread, for fear that if it does, it will do so rapidly. For one thing, local measures are one of the few dwindling democratic outlets still available, but more strategically, even if the laws were struck down, they would make political waves. They would force a confrontation between democracy and the legal structures that privilege industry. 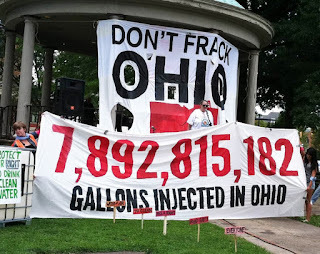 The bottom line...Ohio is allowing Big Oil to take away citizens rights. That's a rigged system!